Rxstore-365.com makes grand claims of having seven years of experience in supplying safe medication to customers. But, our first look at this online pharmacy immediately has us worried about their trustworthiness and the safety of the medicine offered. Read on to find out why. Business Name Europharm Group Inc. The domain name details for this site are available for anyone to view. The record shows this website address was first registered in 2017 and runs until 2019. Short registration periods can suggest a scam drugstore and this sense is increased because a privacy service has been employed to keep the owner’s real details out of the record. When taking our first look at this site we immediately realize we have seen this store before. We have seen the exact same site uploaded to the Internet using many different domain names. When we say the same, we mean it. The theme, the graphics, the products and the prices are all the same as found on countless other stores. Reputable online pharmacies don’t have any problem telling their customers where they are located, why would they? Scam pharmacy stores, on the other hand, will normally be very keen to keep their address to themselves. Looking at the contact page of this store gives us an address in the Czech Republic and the business name ‘Europharm Group Inc’. Since we have encountered this business name and address before, we know full well that this company doesn’t appear to be real. The business name isn’t found in any official records and they don’t have their own site. This is surprising for a supposed group of companies. The truth is, that the name has been created to give the appearance of a prestigious business operating this store. The address used here is believed to be a mailbox service, rather than a real operations center. This seems to be the case because of the sheer number of businesses using this address. There are over 1,600 references to this address found online, but no references to the Europharm being located there. Since this store claims to be located in a European country it means that they have to abide by the EU rules to be operated legally. These rules state that the online pharmacy has to be registered with a European Government agency and display the distance selling logo on every page of the store which sells medication. They don’t display this logo anywhere on the site. A check in the database shows that, as expected, this store isn’t registered as it should be. It is clear that this store is operating illegally by not following these rules and LegitScript agrees. 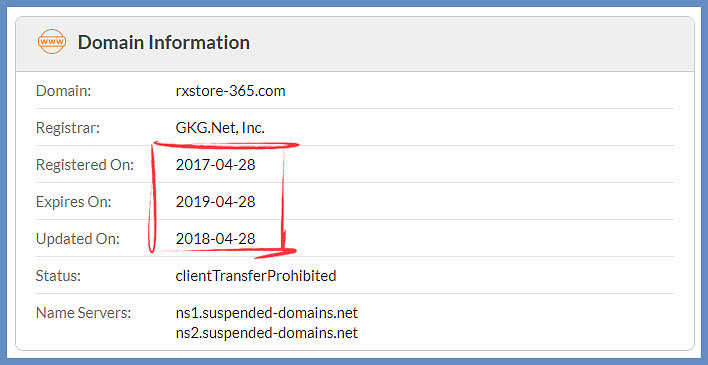 A check on Legit Script shows that they have reviewed the site, finding it to be breaking the law and classifying it as a rogue pharmacy site. 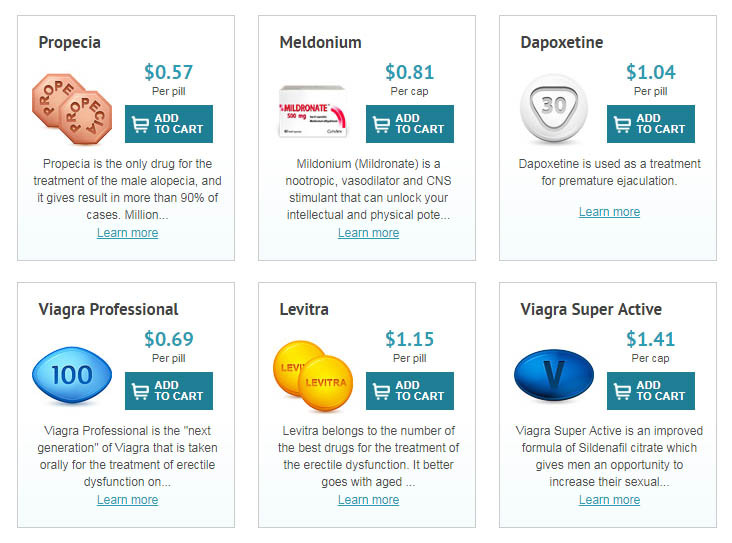 The site claims to sell generic as well as brand-name drugs. 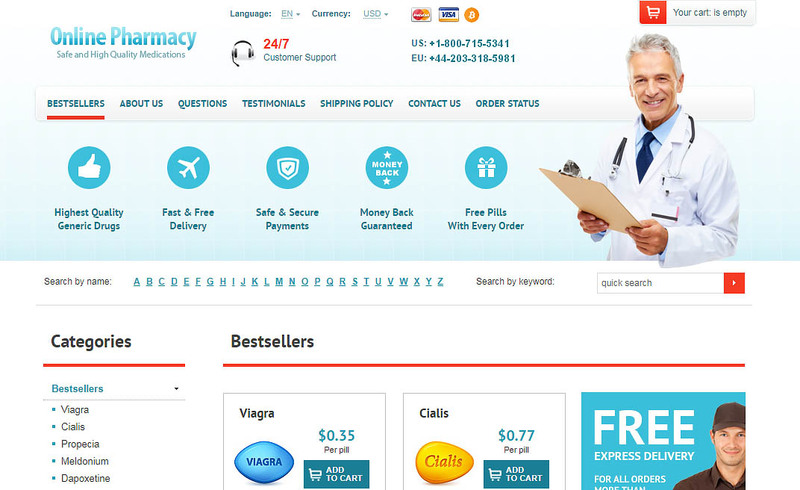 Though, the site seems to purposely try to confuse customers by labeling generic drugs by the brand-name. Then the supposed real brand-name pills are distinguished with the word ‘Brand’ in the title. In this scenario, your chances of receiving counterfeit pills would appear to be extremely likely. It also seems that the pills are manufactured in India, though they don’t say where exactly or by whom. This information is only revealed when they say that the drugs are approved by the Indian FDA. They don’t provide any information to back up this statement, however, and in fact, there isn’t even an organization by that name. The main focus of the store seems to be towards selling men’s health pills. This is emphasized by the free pills given away with every order, from the best-known brands in that sector. There is very little mention, on the pharmacy, of prescription requirements. The reason for this is because they are quite happy to sell medication to anyone, regardless of suitability or of any clash between medicines taken by the patient. We haven’t been able to locate a discount for this drugstore. Though, this isn’t really a bad thing as we don’t advise you even think of making a purchase on this store. This online pharmacy site isn’t secured with a valid SSL certificate. It would, therefore, be very unwise to input your credit card or Bitcoin details at the checkout. However, when you actually go through the checkout process you find yourself on a different site which does have an SSL certificate. This secure checkout site acts as a common order page for many of the other mirror sites as well. Delivery options are either EMS or airmail, with EMS being the faster and more expensive of the two. EMS will cost you $24.95 with expected delivery within 8 business days. Airmail costs $14.95 and delivery can take nearly a month. There is also an added charge for insurance of $6.95, though this should be unnecessary. Free airmail delivery is offered on orders over $200 and free EMS on orders over $300. If you do decide to risk a purchase on this drugstore and then run into problems, your options are limited to an online form or their phone numbers. They do claim to have 24/7 customer support but this seems unlikely, as they also say they aim to deal with customer inquiries within 48 hours. Many people look at the customer testimonials on a store to find out how credible the business is. This is great just as long as the owner of the store hasn’t written them themselves or copied them from another site. 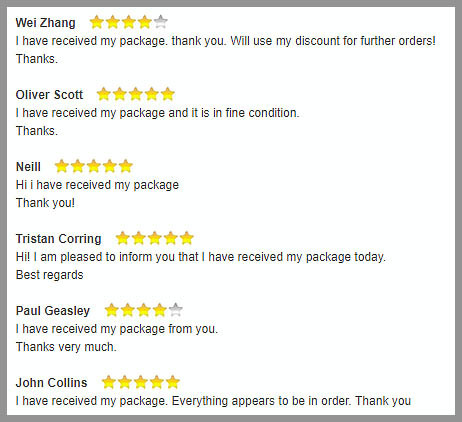 It is, unfortunately, all too common to find fake customer feedback on scam online pharmacies. When we read through the Rxstore-365.com reviews posted to this site we notice some problems straight away. First among these issues, is the fact that we have already read these testimonials on other mirror sites. These customer reviews are 100% fake. This pharmacy site lacks the regulation required for it to operate legally in Europe and it is a mirror of many other stores. The reviews are fake, as the address and business name. With little going for it, you can understand our low rating of just 1.3 stars out of five.